I love Sugar Cookies but I really dislike the mess that comes with them. Today I am going to share a super easy and mess free alternative to the traditional sugar cookie. First combine the cake mix, oil and eggs together. 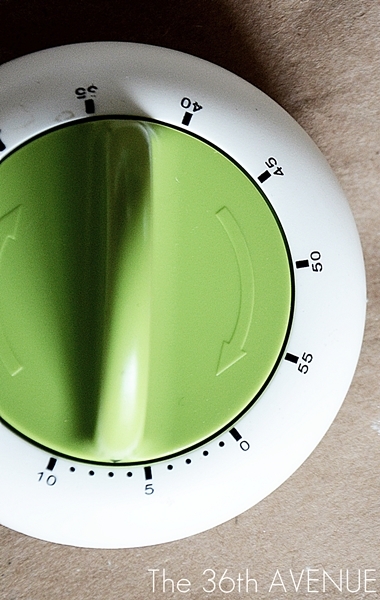 Keep your hand mixer in your kitchen cabinets… remember we are talking about no messes here. Stir with a SPOON until it’s thoroughly moist. 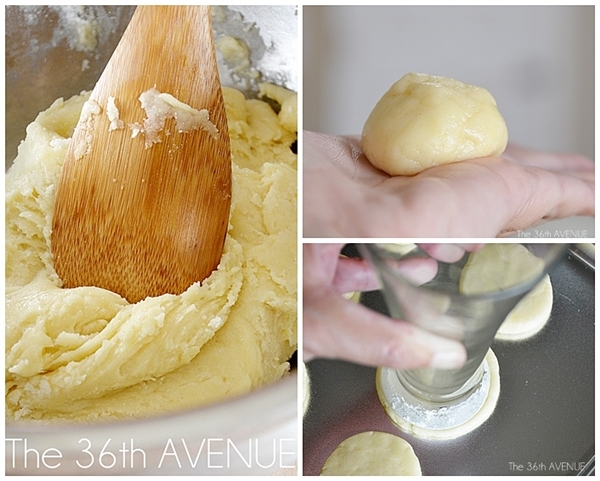 With the bottom of a glass dipped in flour, flatten to approximately 1/4″ thick. 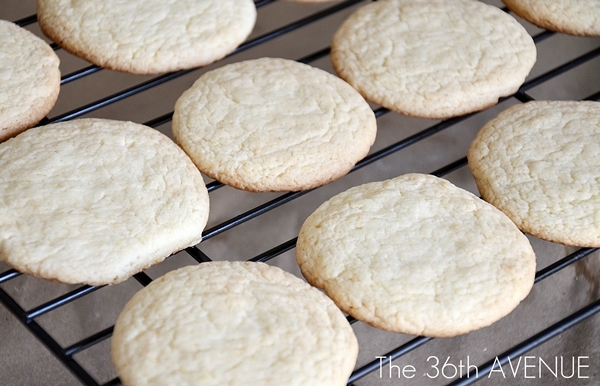 Time to bake them at 375º Fahrenheit for 6 to 7 minutes. Do not overcook them, they will get harder as they dry. Look how perfect they look! 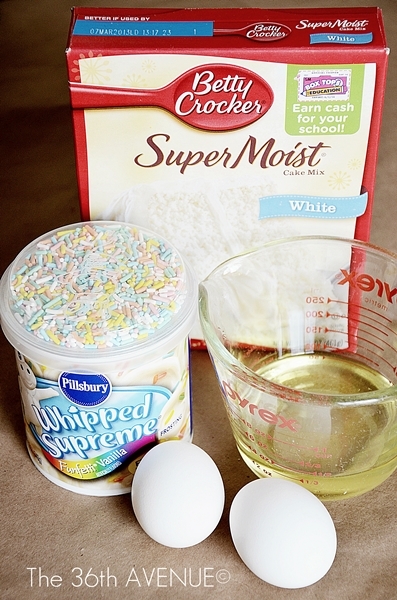 After add some favorite frosting and sprinkles to make them sweeter and prettier. 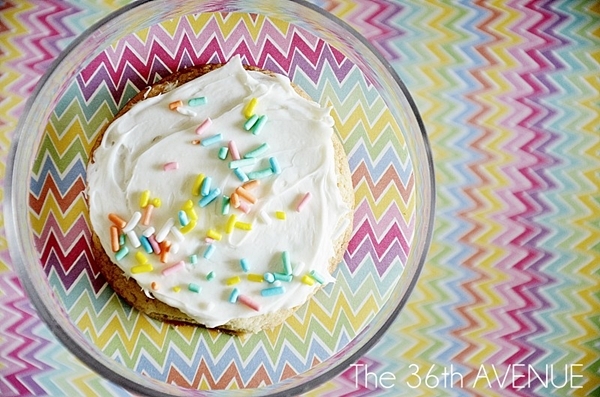 Enjoy your nontraditional sugar cookie without the mess ! 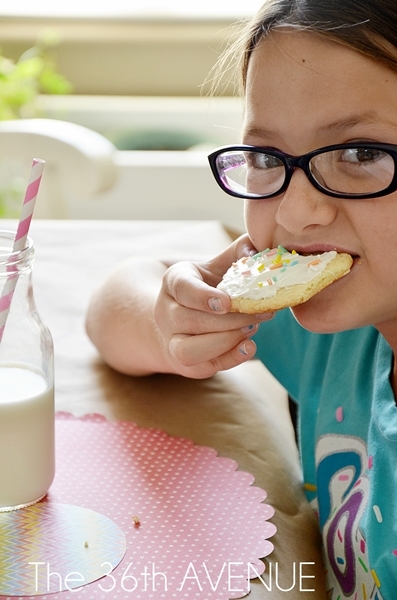 You’ll be surprised how soft and yummy these cookies are. I hope you give them a try my kids surely love them! It is Friday my friends let’s make it a special day! Thank you ladies for the visit! Oh wow. 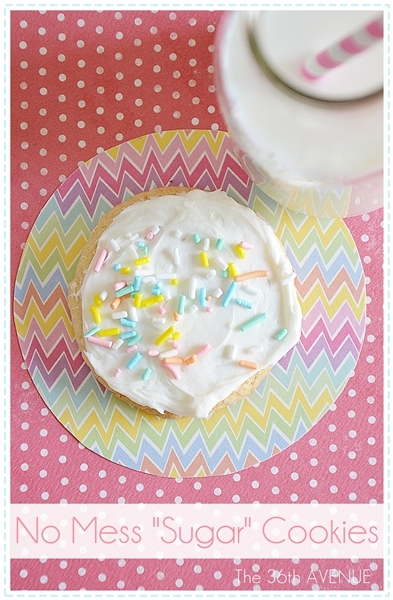 I just pinned this…and in competition with my sugar cookie that just went up on the blog today. I’m just so curious about making a cookie with cake mix. I have to try it. Made them on a whim for our fishing trip tomorrow morning. They are so goo I’m not sure any will make it till then. Thank goodness I thought ahead and bought enough for another batch! Thank you & your punkin daughter for these! Happy and safe 4th!!!! You are welcome Susan! I love this recipe! Have a fun 4th of July! They look delicious! My Mom used to make them for the kids when they were little. Unfortunately, no one can figure out exactly what recipe she used now that she’s gone. My kids will be very excited if they are anything like hers! Pam, they are REALLY good! I can’t wait for you to try them. These will be perfect to make with my grand-daughter. Thanks so much! 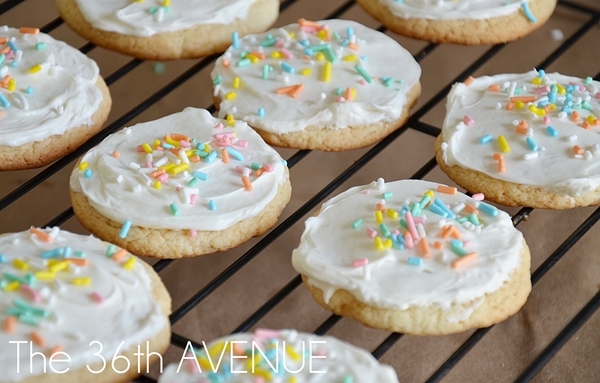 These cookies look FABULOUS!! The frosting and sprinkle topping looks very yummy! 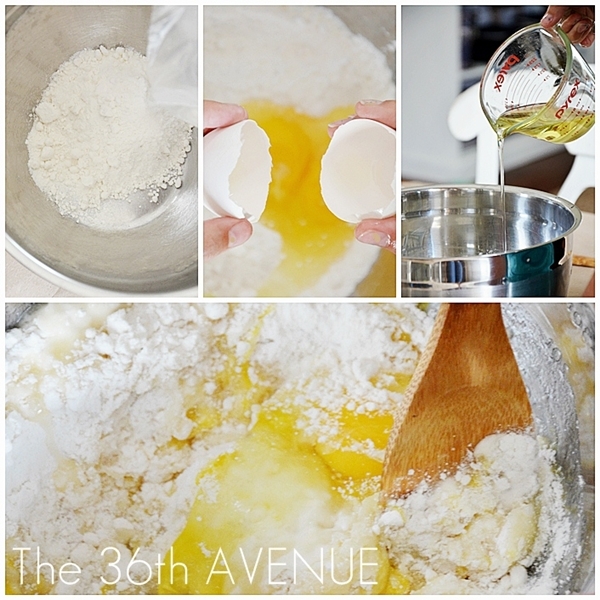 I love how the recipe uses simple ingredients and seems fast to make!